Daniel has made one starting appearance for the Caley-Jags in this season’s Irn Bru Cup. Inverness based, Daniel has come through the Inverenss outfit’s youth system. 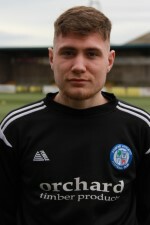 Marc McCallum is the only player in the squad to have been born in the town of Forfar. He came through the youth ranks at Dundee United after previously being at Lochside Boys and Aberdeen. 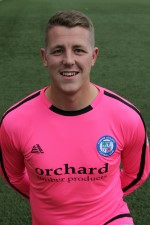 Had a loan spell at the club in 2012 before further moves to Peterhead and Berwick Rangers. He made his debut for United against Aberdeen in May 2014 but found himself out on loan again the next two seasons, to Arbroath and Livingston respectively. He joined Livingston permanently in January 2016 and moved north again last season following a year at Plymouth Argyle. 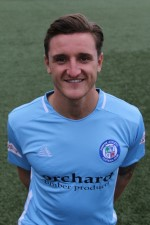 Jamie Bain joined the Loons in 2016 from Airdrieonians. 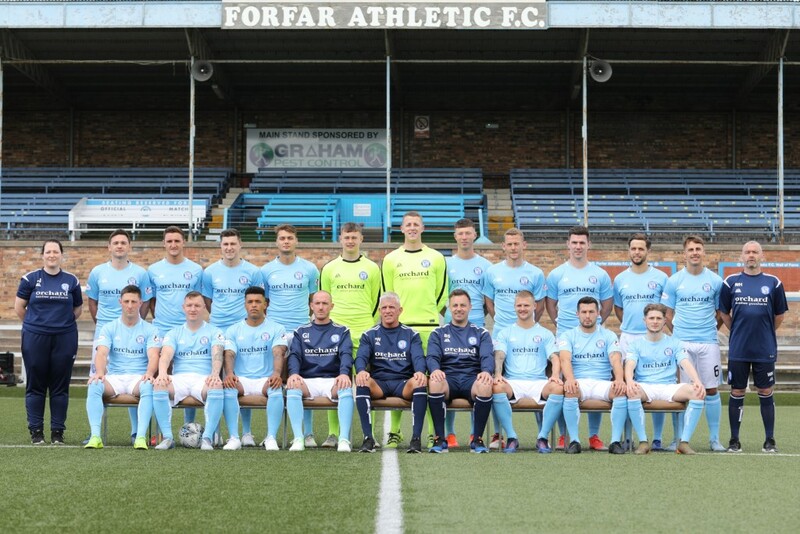 Bain has been almost ever present since joining, missing just six games in total and he netted his only goal in Forfar colours in the play-off semi final second leg at home to Annan in May 2017. 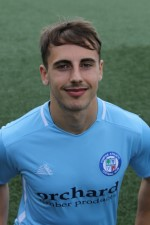 Adam is a highly experienced left sided defender who began his career as a youth player with Manchester United having been born and brought up in the Worsley area of the city. At that stage of his career he represented England at Under 16, Under 17 and Under 18 level. While at Old Trafford, he had spells on loan at Royal Antwerp and Bronby as well as in the EFL with Barnsley and Port Vale. He subsequently moved to Port Vale on a permanent basis before again sampling football abroad in Denmark with Horsens and AGF Aarhus where he won First Division Championship medals with both clubs. From there he moved to Scotland wearing the colours of both Hearts and Hibs before heading to Canada for a spell with FC Edmonton in the North America Soccer League. 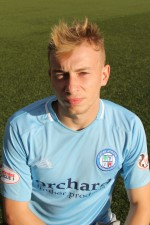 Ross Meechan joined the Loons in the close season from Stenhousemuir after helping them to promotion to League One via the play offs. The right back was at St Mirren and Partick in his youth career before joining the Warriors in 2014. He went on to make 163 appearances, scoring 5 goals in maroon before moving to Station Park. 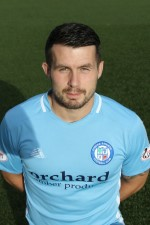 Club captain who joined the Loons in January 2015 from Arbroath. Michael Travis started his senior career at Livingston but made just three appearances before signing for Arbroath in 2012. Travis unfortunately missed a year of action due to a knee injury in January 2016, but has recovered to become captain in October 2017. 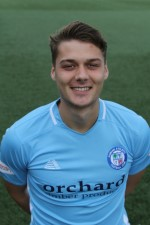 Another close season signing, the 21 year old is a St Mirren youth graduate and made four appearances for the Buddies first team, before spending the majority of last season on loan at the Loons. He signed permanently after his release by the Buddies in the summer. 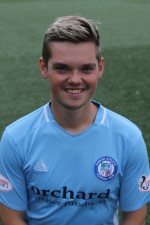 Jack is a successful member of the Loons development team and made his debut as a substitute against Queen's Park in April 2018. 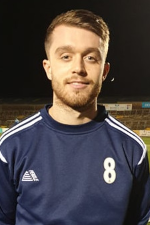 Dundonian, Connor Coupe was released by Dundee at the end of last season and featured in the Loons pre-season fixtures has signed a six month contract at Station Park. 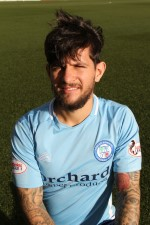 Dylan Easton joined the Loons in summer of 2017 after joining from Clyde. After coming through Hutchison Vale's famous youth system, the midfielder made his senior debut at 17 in 2012 for Livingston. 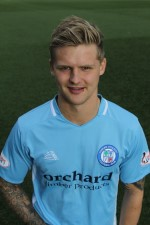 Easton moved on to Berwick Rangers and earned himself a move to St Johnstone in 2013. After loan spells at Arbroath and Dumbarton he was released and spent time at Elgin City before his 2016/17 season at Clyde was cut short due to a serious injury. 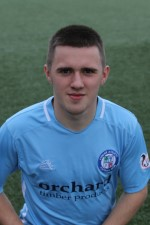 Murray Mackintosh, who can play in either defence or midfield, broke into the squad in 2016/17 after a successful time in the U20 team. 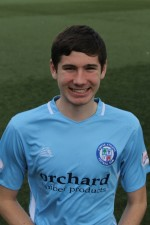 The Kilwinning born youngster previously played for youth team Bonnyton Thistle. 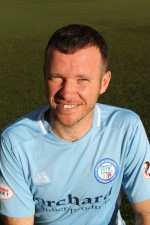 An experienced left back and midfielder, Eddie Malone signed for Forfar in January 2017 for a fee from Lowland League outfit Spartans. He started his career at St Johnstone, moving on to Clyde and scoring in their win over Celtic in 2006. Spells at St Mirren, Dundee, Ayr United, Raith Rovers and Stenhousemuir followed before he dropped down to the fifth tier with Spartans in 2015. THomas Reilly linked up with Jim Weir in the close season after playing under him at Elgin City. The midfielder started his career at St Mirren, making his debut at 17 and made 47 appearances for the Buddies, netting once. He also spent time on loan at Albion Rovers before moving to Elgin in 2015. 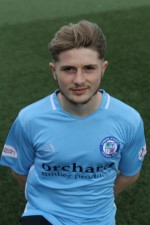 Forfar Athletic manager, Jim Weir made a move to bolster his squad with the signing of 22 year old midfielder Brad Spencer on a contract till the end of the season. 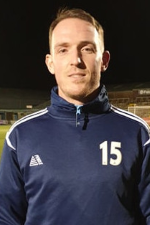 The former Kilmarnock player spent the first half of the season plying his trade on a short term contract with Dumbarton but when he became a free agent at the end of last week, Jim Weir moved quickly to secure his services. Young striker who has stepped up from the U20 squad. Matthew Aitken made his debut in April 2016 as a sub against Airdrie and made a further four appearances from the bench in 2016/17. Last season he made his mark under Jim Weir, netting seven goals in 35 appearances. John Baird signed in the close season as player/assistant manager. 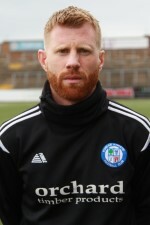 Since making his senior debut in 2003, Baird has played for Clyde, St Mirren, Stenhousemuir (loan), Montrose (loan then permanent), Brechin City (loan), Airdrie United, Dundee, Partick Thistle, Raith Rovers (twice), Queen of the South, Falkirk, Inverness Caledonian Thistle and Greenock Morton (loan). Baird won the Challenge Cup in 2013-14, netting the winning goal for Raith Rovers against Rangers. At the start of 2018 Dale Hilson returned to Station Park for his sixth spell at the club. The 25 year old striker made history between seasons 2010/11 and 2013/14 when he made a total of 115 appearances for the Station Park club in four loan spells from his parent side at the time Dundee United, netting 14 goals min that final campaign. He then signed a one year deal with the Loons in the summer of 2014 when United did not renew his contract and made 38 appearances that term netting on twelve occasions. 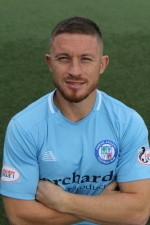 Full time football then beckoned once again for Dale and he spent two seasons with Queen of the South, before signing for St. Mirren in the summer of 2017. Having moved initially on a temporary transfer until January 2019, Hearts forward Lewis Moore has moved from Tynecastle to Station Park until the end of the 2018/2019 season. 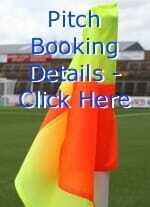 When his original temporary transfer expired he returned to Tynecastle for treatment and assessment of a back injury. However now fully fit again, all parties are delighted that he will return to competitive action in a sky blue shirt. The Bathgate born winger was the ‘Jambos’ Under 17 Player of the Year in 2014/15 season and made his first team debut in the final game of the 2015-16 season. 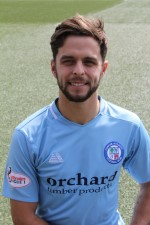 He spent the following season on loan to Cowdenbeath making over thirty appearances for the Central Park outfit, in fact scoring his first senior goal against Forfar Athletic! Lewis has now worn the Hearts colours in fifteen first team outings but with a host of new signings having been made by Craig Levein in the summer months, it was decided that the player needed more SPFL first team experience and thankfully Forfar was the destination of choice. 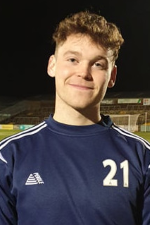 Jim Weir completed his fourth and final loan signing of the second half of the 2018/2019 campaign capturing the signature of 20 year old Dundee forward Cedwyn Scott. Cedwyn moved to Dens Park after a spell within Huddersfield Town’s youth system in January of last year, subsequently making three first team appearances in the latter stages of the 2017/18 season. The Northumberland born youngster was then farmed out to Berwick Rangers in the early part of the current campaign, netting three goals for the Shielfield Park outfit. 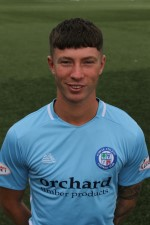 Another member of the Loons development squad to step up to the first team, Ben Starkey made his debut in December 2017 against Stranraer and has made five substitute appearances in total.